I name my tasks like "<word>#<number> - <multiple words>". The overall tasks can become quite long from time to time but the problem doesn't only apply to the longer ones. When I enter these tasks in the main window and hit enter (to finish entering the text) the text sometimes vanishes from the task in the main window. However, the menubar app shows the task name all the time. I'm not sure what to do about this since it makes the accounting quite tedious. 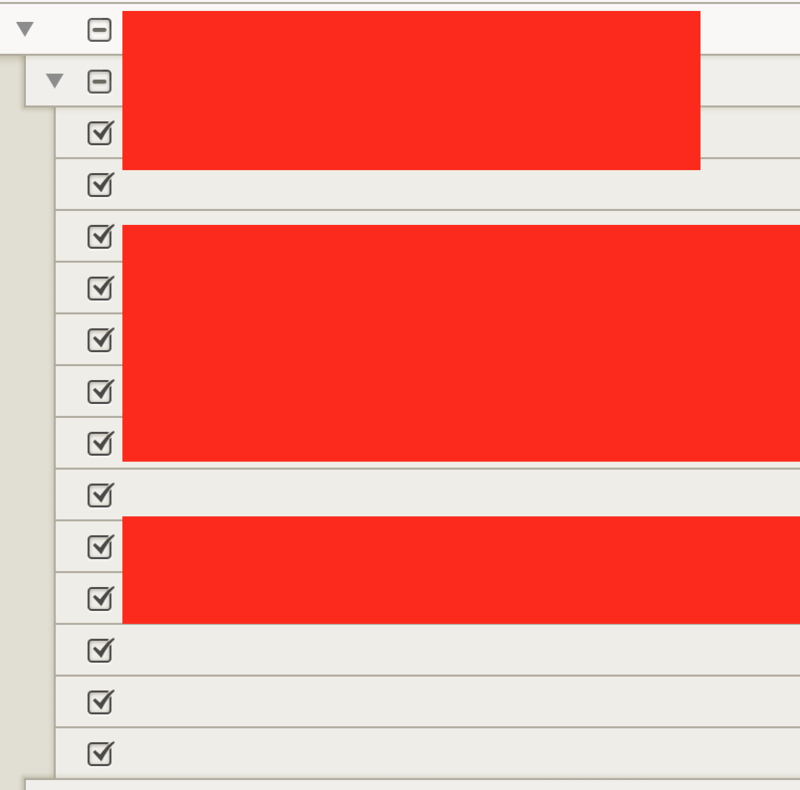 The attached screenshot seems quite empty, but trust me, all these empty fields contain actual task names. Ah, got it. After trying to reproduce the error I realised what I did. Most of the time I paste the <multiple words> part into the text field and it contains a linebreak at the end. Thanks for using Timelime! It’s great to hear that the app is useful for you. Also, thanks for pointing out this issue! It is hard for me to find everything in the app that doesn’t work as expected. So I depend on users like you who report every bug, issue, and little things they come they come across. I have added this problem to my ToDo list for the next Timelime update and will make sure newlines are ignored when pasting text into the task field.